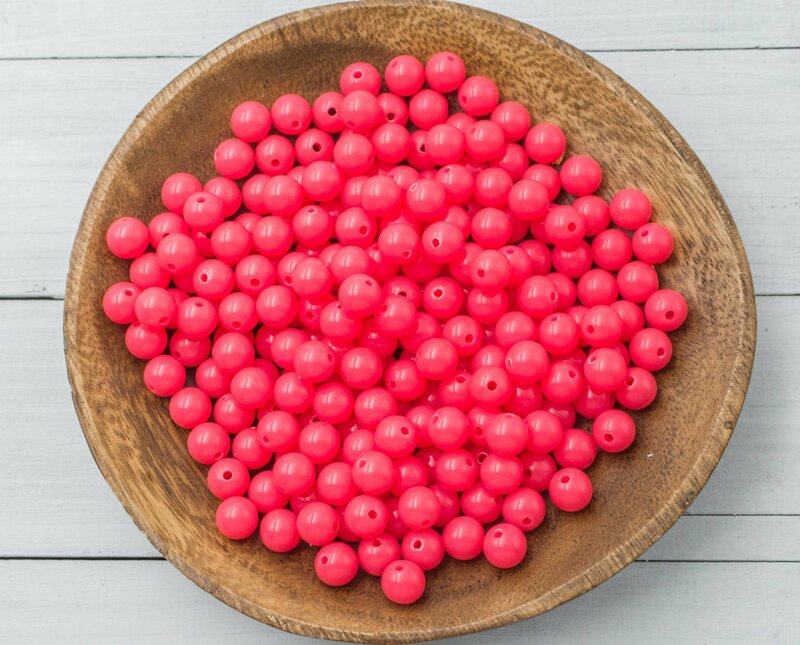 Round pink beads, 10mm diameter with 1mm bead holes. 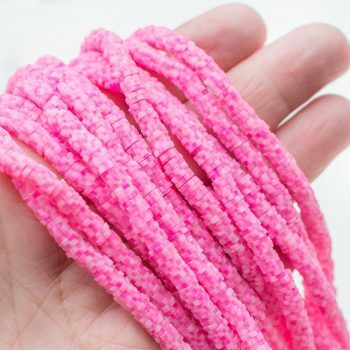 Color is bright pink and is brighter than the photo may show. You will receive one bag of 75 beads.